Have a gut feeling that it’s time to let the youngsters run..
..our Blue Orb. ‘Cause the “adults” sure as hell ain’t doin’ the job! NO Mythology In This Case, Merriam-Webster..HEROINE!!! Someone must lead, BRAVO LADIES! And Englewood stands among the most violent, with 19 murders so far this year.. While it’s unclear exactly what impact the group has had, crime data collected by the Chicago Tribune showed no reports of violent crime at the corner in the last month. You Say You Want A HERO? Howz’ About A Heroine.. 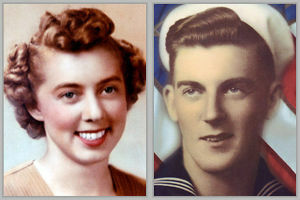 The Greatest Generation. In this case, both Ruby and Jim.. When they met in 1943, Williams was stationed at Depoe Bay, and when he had time off he went to nearby Portland, where Hazen lived. Both were 22, and they were friends, not sweethearts. “It’s been a long guilt trip for me,” Williams said during their Skype chat. “I sure accept your apology,” she said with a smile. Williams mailed the photo back right away, along with a dozen roses. 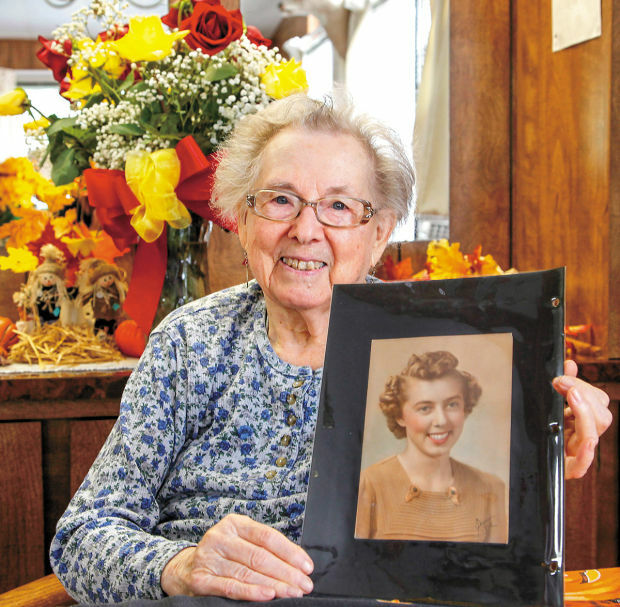 “I sent six red roses saying, ‘Thank you for sharing some of my war years,’ and six yellow ones as an apology to her husband in case I had caused him any embarrassment,” Williams said. Some 60 years after carrying wounded soldiers and ammunition during heavy firefights, a decorated war horse praised as America’s greatest equine soldier during the Korean War is finally being immortalized. Staff Sgt. Reckless, a Mongolian mare that served in the U.S. Marine Corps during the Korean War, made 51 solo trips during a five-day battle in March 1953, carrying nearly 10,000 pounds of ammunition and explosives from a supply depot to the front lines. She was wounded twice and later received two Purple Hearts for her service, as well as several other military decorations. 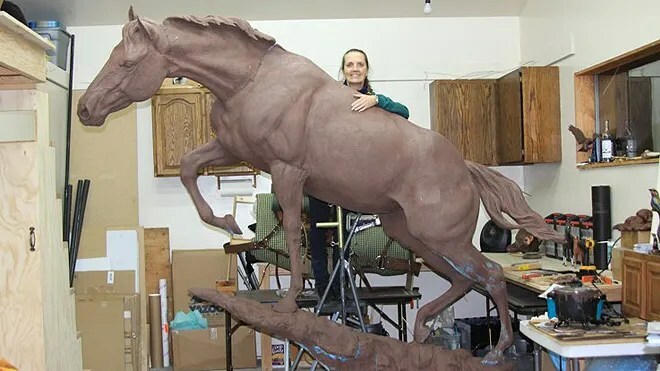 On Friday, a 10-foot bronze statue of the courageous — and insatiable — horse will be unveiled at the Marine Corps Museum in Quantico, Va. The 900-pound Reckless, whose legendary appetite included huge portions of scrambled eggs, chocolate pudding and even beer, joined the Marines in 1952 after she was purchased by a soldier for $250 from a Korean boy who needed money to buy an artificial leg for his sister. Then known as “Flame,” the horse was later renamed by the Recoilless Rifle Platoon of the 5th Marine Regiment, Hutton said, adding that the horse was not startled by the powerful anti-tank guns used by the unit. The horse’s main caretaker, Sgt. Joseph Latham, quickly “taught her everything,” Hutton said, including how to kneel during incoming fire or to step over barbed wires. Reckless also quickly memorized routes to and from battle stations, travelling dangerous paths and mountain trails without the accompaniment of a fellow Leatherneck. Hutton said she expects emotions to be running high when Korean War veterans attend Friday’s ceremony. After the war, Reckless, who was praised by The Saturday Evening Post while still in Korea, made several television appearances, including on the “Art Linkletter Show.” A film was planned, but ultimately did not materialize, Hutton said, and the horse fell from the national conversation. She later retired in 1960 at Camp Pendleton and after dying of natural causes, was buried there with full military honors on May 13, 1968. Reckless gave birth to three colts — named Fearless, Dauntless and Chesty — and a filly that died one month later. Hutton said it’s “disappointing” that the horse’s line was not carried on, but she hopes Friday’s ceremony will re-ignite interest in Reckless, whom Hutton featured in a screenplay she’s written. More than 33,000 U.S. soldiers were killed during the Korean War, with another 100,000 wounded and 7,000 additional soldier still listed as missing in action, according to Department of Defense statistics. Maj. Billy Canedo, of the Department of Defense’s 60th Anniversary of the Korean War Committee, told FoxNews.com that up to five Marines who served alongside Reckless are expected to attend Friday’s ceremony. Canedo said Reckless walked more than 35 miles amid heavy enemy fire and, according to military lore, never flinched. Simply put, a lovely and an amazing young woman.. 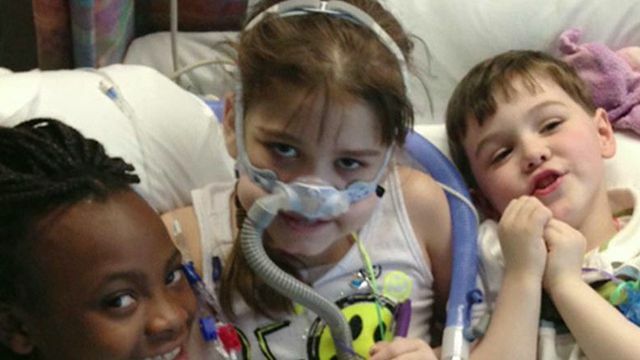 FINALLY, some good heartwarming news..
A spokeswoman from the Children’s Hospital of Philadelphia (CHOP), where Sarah has been hospitalized, said they do not have any further information to release. In the Facebook post, Janet said the family is overwhelmed with emotions, and she thanked everyone for their unending support. She also asked her followers to pray for Sarah’s donor. You are currently browsing the archives for the Heroine category.